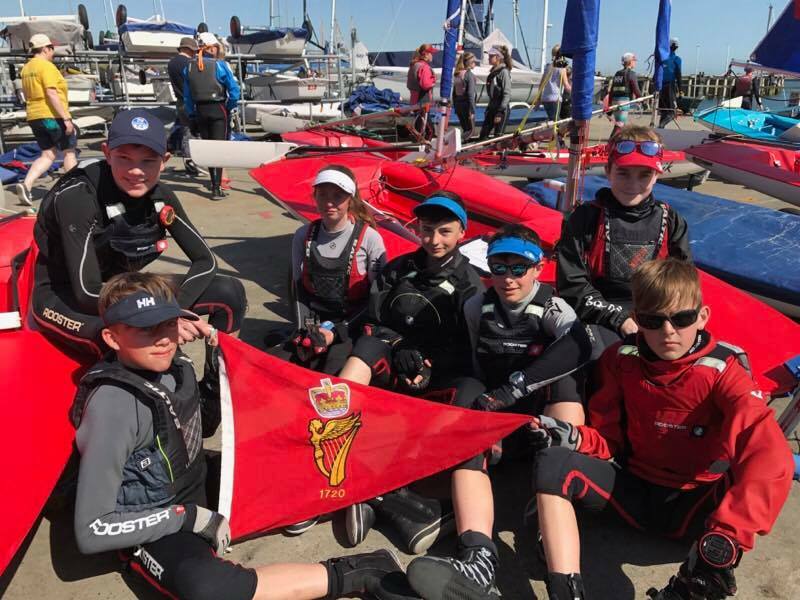 Congratulations to all our sailors who competed this weekend at the Topper Southerns held at the National Yacht Club in Dun Laoghaire. 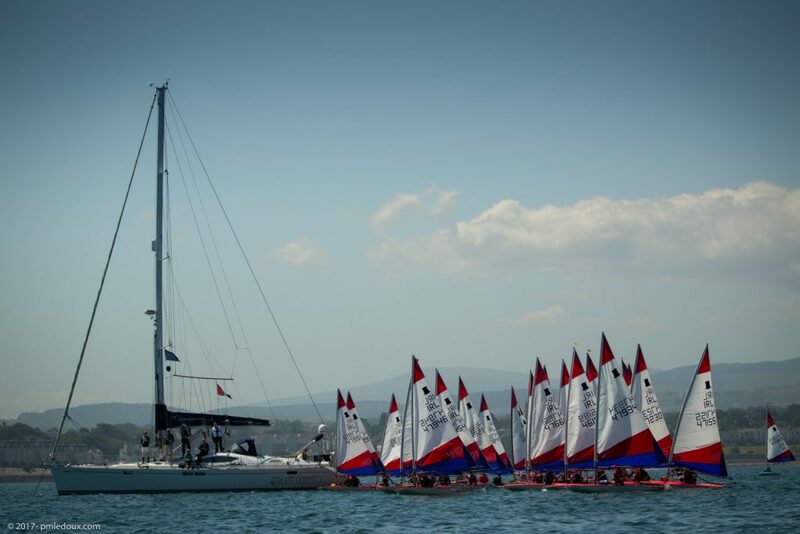 Beautiful sunshine greeted our sailors and parents on Saturday morning – it could have been in the Mediterranean!. 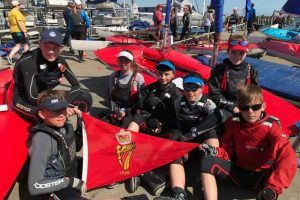 Three races were held on Saturday and after a postponement early on Sunday morning the breeze filled and the OD completed the series with six races in total. 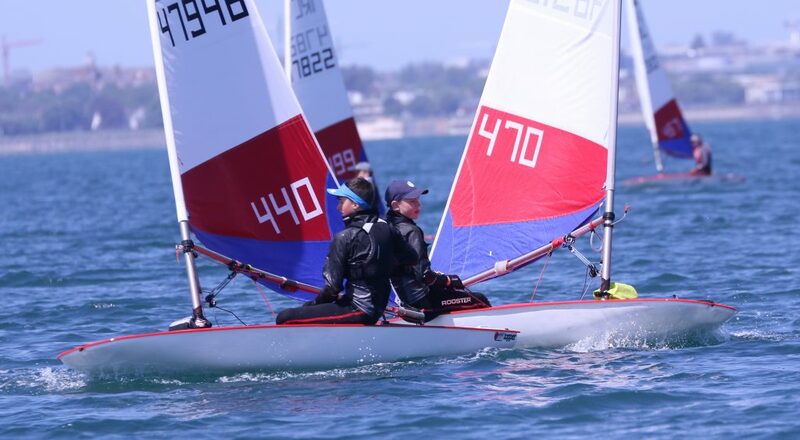 It was the first Topper event for a number of our sailors – Charlie Neville, Hugh Lynch and Emma O’Sullivan – well done. 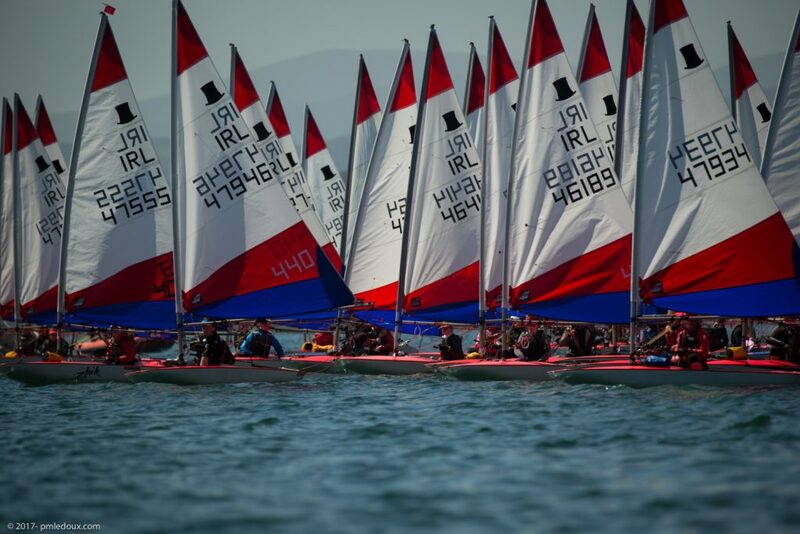 The event was won by Rory Williamson (East Antrim Sailing Club) with our own Jonathan O’Shaughnessy 2nd, Conor Horgan 3rd, Jack O’Sullivan 5th/2nd U17 and Kate D’Arcy First Lady. Our line up was completed by Ciaran Ryan who was unlucky to be just outside the prizes. Photos below courtesy of Paul-Michel Ledoux (first two) and Simon McIlwaine.